As per Allsportspk readers request as and when any of the ranking is announced it is being published. Currently, from Men’s cricket rankings only Test team & players rankings alongside ODI team & players rankings have been updated. From Women’s cricket no rankings have been updated. 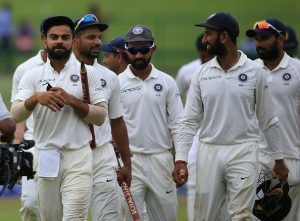 India remains at the top of the Men’s test cricket rankings and will hope to retain their rank by winning the upcoming England Test series. Meanwhile, West Indies and Sri Lanka white washed South Africa, thus retaining their rank at 6th and 7th place respectively. 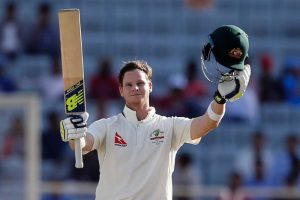 Despite Steve Smith’s ban from cricket over the ball-tampering incident, the former Australian captain still remains at the top of the Men’s Test rankings. Sri Lankan batsmen Dimuth Karunaratne and Dinesh Chandimal experienced an upgrade after their recent series with South Africa and West Indies. West Indian batsman Kraigg Brathwaite also found himself at the 12th rank after a string of high scores. 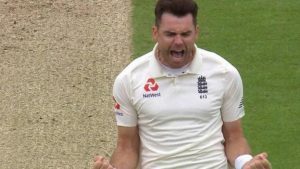 Kagiso Rabada’s disappointing performance in Sri Lanka degraded him to the 2nd position, as James Anderson took the top position in this category. Sri Lankan, off spinner, Rangana Herath’s performances against South Africa allowed him to upgrade his rank to the 8th position. Keshav Maharaj broke huge records in Sri Lanka and is now placed at the 18th position. Bangladesh got white washed by West Indies, however, Shakib Al Hasan still remains at the top of the All-rounder rankings due to his exceptional performances. Sri Lanka’s Rangana Herath’s contribution with the bat and ball against South Africa allowed him to take the 15th rank in this category. For Men’s ODI team and complete cricket rankings, move on to the next page! Previous articleReal Madrid: Who Will Replace Cristiano Ronaldo?